VegFest OKC will feature a food court of vegan food trucks and restaurant booths Sept 8 at the Myriad Botanical Gardens in Oklahoma City. Photos by Jordan Mobley Photography. If you doubt plant-based eating could ever go mainstream, here’s a sign that might make you a believer: Oklahoma City is having its own vegan festival. Set for Sept. 8 at the Myriad Botanical Gardens in downtown Oklahoma City, Vegfest OKC is the first all-vegan festival to hit the city and will showcase a variety of plant-based foods, cruelty-free cosmetics and natural bath and body products while promoting an overall healthy and eco-friendly lifestyle. A small fleet of vegan food trucks along with Oklahoma City area restaurants with plenty of vegan menu items will create a food court of plant-based fare for the crowd to enjoy, serving everything from comfort foods such as macaroni and cheese, lasagna and Tex-Mex dishes to scrumptious donuts, ice cream and coffee drinks - all totally vegan. 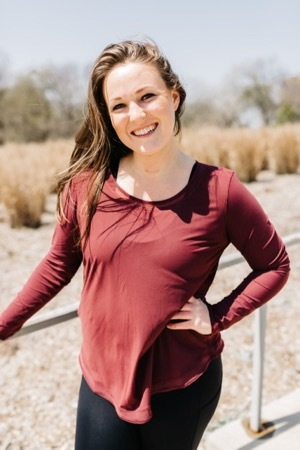 Event organizer Emma Ryan says she’s also expecting a North Texas presence among the 50 or so vendors that will pass out samples, sell merchandise and altogether promote healthy and happy living. VegFest OKC organizer Emma Ryan is a raw food chef and nutrition coach. “Some of those are food products. Some of those are clothing brands. Some of those are environmental sustainability products or organizations. Some of those are body care or essential oils. We have some CBD oil companies coming in. We really have a wide variety and there will also be an adoption event. So, people will be able to come adopt a new dog if they wish to,” Ryan says. The first 500 attendees will also go home with a swag bag full of coupons and free samples, Ryan says. Children’s activities include face painting, a photobooth and hands-on seed planting lessons that will give each child a crop to take home and grow. Oliver and Friends Farm animal sanctuary will share its message about being kind to animals and have its piglets on hand. Among the speakers scheduled to make presentations starting at 10 a.m. is Dr. Jimmy Conway, M.D., a plant-based doctor who cured his own coronary artery disease by changing his diet and lifestyle, thus saving himself from triple bypass surgery. Speaking later is Dale Spoonemore, a homesteader who’s converted his typical urban home landscape into a veritable food farm while relieving his own health issues in the process. Spoonemore now teaches others how they can do the same through his organization, From Seed to Spoon. Also scheduled to speak is an entrepreneur from Corsicana, Texas who will share his story of turning away from a family tradition of animal exploitation to operate his own cruelty-free business in Dallas. “His name is Zak Shelton; he’s a third-generation cattle rancher, but he turned vegan due to health issues several years ago and now he has his own company helping market and promote plant-based brands. He speaks at events all over the midwest and he’s tremendous to listen to,” Ryan says. Ryan says VegFest OKC is a part of a vegan festival circuit held throughout the year at cities all over the world and is tied to the American Vegan Society, which owns the VegFest brand. Over a year ago, she and her sister started talking about how they’d like to see a VegFest in Oklahoma City after attending vegan festivals in Dallas and Austin. With the help of volunteers, Ryan organized VegFest OKC, which is set to put Oklahoma on the map of vegan-friendly destinations. The fest showcases the changing options she’s seen come about in her home state in the last several years. “Now when you tell someone you're vegan, they don't ask you what that is,” Ryan says. Much of her motivation to bring the VegFest message of healthy living to Oklahoma comes from the abysmal health statistics that plague the state. In 2016, the CDC ranked Oklahoma as second in the nation for early deaths from heart diseases and third for its prevalence of diabetes. Additionally, the Oklahoma State Board of Health gives Oklahomans a failing grade for both diabetes and heart disease and a D grade for obesity, tying these conditions to statistics that show that around 50 percent of state residents fail to eat a single serving of fruit each day and 25 percent do not eat vegetables on a daily basis. To tackle these conditions, the health board encourages state residents to “adopt recommended healthy lifestyle changes and encourage your friends and family,” as part of its Oklahoma Health Improvement Plan. But as outsiders moved into the state, Ryan says, better options began to appear at restaurants and grocery stores. “But I also think that people living here have really opened their eyes to feeling better and to living better than they currently do. And in the past, I would say three years, restaurants all around town have started implementing more vegetarian or vegan options, gluten-free options, and really catering to people who are on a niche diet. Ryans credits the vegan lifestyle for her own triumph over chronic health challenges that she’s faced since adolescence and says if not for a friend’s advice, she might still be suffering today. “I was sick, starting at the age of 15, I had fertility issues. I was prediabetic. My liver was going through some slight liver failure. I had an autoimmune condition, which later formed into cancer. I was sick for several years,” Ryan says. “Five years it took for us to figure out what was going on. And during that journey, going to the doctor and being prescribed medication and put on different treatment plans, nothing worked and everything continued to get worse. I felt horrible for a very long time. Her experience combined with her family’s background in restaurants led Ryan to become a raw food chef with a nutrition coaching business that teaches clients how to live a healthier life through one-on-one consulting sessions and frequent workshops. VegFest OKC then grew out of her mission to spread the word about what eating right can do for her fellow Oklahomans and how the dietary choices we all make affect more than our own bodies. “I think the people of Oklahoma are tired of feeling tired. I think they're tired of feeling sick and they're tired of being sick. And I think that in itself has opened a lot of doors for a lot of people wanting to live a healthier and more active lifestyle,” Ryan says. “VegFest is all about plant-based food. Obviously, it's a vegan food festival. However, it's also to create awareness for environmental sustainability and animal rights and everything that kind of goes along with that way of living. About: Inaugural vegan festival featuring vendors, exhibitors, speakers and cooking demos. When: Sept. 8, 9 a.m. to 5 p.m.